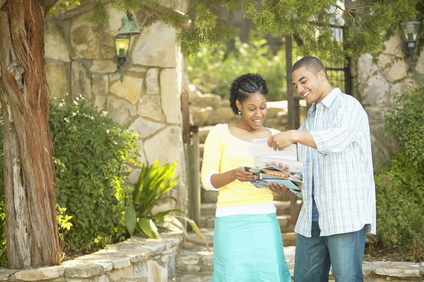 Even in today’s digital era, direct mail solutions are still stellar opportunities to effectively market to customers. Receiving physical mail leaves a great impression on consumers, since potential customers are able to have a tangible connection with the marketing material. Compared with lengthy advertising in the forms of letters or catalogs, postcards work in today’s fast-paced world by delivering your most important brand message in a highly personal way. If your brand’s postcards get picked up, you’ve directly made it into your customers’ homes. And if your business makes its postcards stand out with interesting materials, raised letters or cut-outs, they make an even bigger impression than standard offerings. Here are four reasons your business should consider postcard printing as part of its marketing strategy. Reading a message on a postcard is easier than reading a letter or booklet filled with ads and coupons, and postcards don’t even require receivers to open up any envelopes and use even more of their precious time to hear your message. Even when a potential client does not need your services at that moment, a postcard ensures the short message is received and remembered. Receivers will know about your company, and be more likely to contact you when they need your products or services. Because postcards have a personalized connotation as being friendly little notes, they also help to make your brand appear friendlier, especially if you personalize the messages. Personalized messages resonate more than lengthier generalized messages, so consider your target receiver carefully, and contemplate tailoring messages to specific demographics. Ways to personalize postcard messages may be to localize the message, address the receiver by name in the copy, or show off your customers on the card by including testimonials or pictures. Businesses may also show off behind-the-scenes looks at their brands, which will help receivers perceive companies more as friends than businesses. Since postcards provide so much visual real estate, they’re stellar ways to build up your brand image. Part of building your brand, which we detail in a previous post here, is establishing your business as an authority in your field. To translate this to a postcard setting, consider including a QR code that leads receivers to learn more about your services online, directs them to your social media sites or provides a value-add, such as a coupon or discount on services. By adding an element of technological savvy, you won’t just be perceived as a leader in your field of expertise— you’ll also be viewed as being relevant to ever-evolving digital industry standards. A key advantage of postcard marketing is the limited investment required to get the most out of the marketing strategy. Instead of spending a small fortune on print or radio ads whose effectiveness you can’t directly track, targeted postcards with specific calls to action cost less and make measuring results easier. To test out postcard strategies, consider including a variety of calls to action on postcards, and see which ones are most responded to. Then, optimize future low-cost campaigns with more effective visuals and messages. Have you used postcard marketing for your business? Share your tips in the comments. Guest post by James Carson: James got his business degree at an Ivy League school. He’s spending his summer on the East Coast writing about small business news. ← Accepting a guest post for your website – why would you and how to choose?